Mar 30, 2014 @ 08:28 AM — by Richard Moore, M.D. There are many options for people who would like to look their youngest and their very best. The best part is that wrinkle reduction and anti-aging techniques don't all involve surgery. There are plenty of non-surgical and minimally invasive therapies out there that can be of great benefit to you and your needs. Visiting our practice for advanced skin care, facial rejuvenation, and aesthetic spa services can restore your youthful appearance and beauty, allowing you to look and feel your very best. One of the most popular options for improving facial aesthetics is the use of cosmetic injections. Let's take a moment right now to consider the nature of cosmetic injection treatments, with a particular focus on how BOTOX injections compare to dermal filler injections. While facial plastic surgery can help smooth out the skin and reduce sagging and wrinkling, there is scarring involved and the surgery does require recover time. With cosmetic injections there is no need for recovery time and no incisions whatsoever. Cosmetic injection treatment can be performed in about an hour with no interruption to the patient's life otherwise. 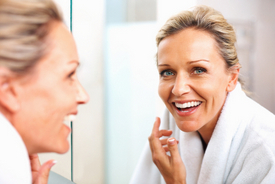 BOTOX injections are one of the most popular non-surgical options for facial rejuvenation. BOTOX injections use a special, safe solution to help stop muscle contractions in the injection sites. By doing this, wrinkles that routinely form in those areas fade from view, allowing you to look your very best and youngest. BOTOX injections are ideal for people who suffer from lines and wrinkles around the eyes, the forehead, and the mouth. They should be in good general health and have realistic expectations about the nature of care. Dermal fillers covers a wide range of cosmetic injections with different compositions, including Restylane, Hylaform, Juvederm, and Sculptra. Whereas BOTOX injections halt muscle contractions in the injection site, dermal fillers help add volume to the injection site. This fills in hollows, lines, and wrinkles, leaving a patient's face looking smooth and youthful. Like BOTOX injections, the best candidates for dermal fillers are people who suffer from lines and wrinkles in different parts of the face. It's important that these candidates for care have realistic expectations about the treatment process and what it involves. Which cosmetic injection option is right for me? This really depends on your needs and your aesthetic goals. In some cases, patients benefit more from BOTOX injections than dermal filler treatment, while in others the reverse is true. Sometimes another spa therapy may be the most ideal solution for your needs, so we will be sure to keep all options on the table. During your consultation with our team, we will be sure to consider your aesthetic goals and how they can best be met. If you would like to know more about all of your options for non-surgical cosmetic enhancement and aesthetic treatment, be sure to contact our St Louis, MO medical cosmetic and laser center today. The entire team here looks forward to meeting you in person and helping you achieve all of your anti-aging and wrinkle reduction goals.